Read the following essay prompt and answer the question. The Student Information Sheet essay is about YOU. As such you may wish to write a detailed narrative with specific examples that show rather than tell the reader something special about you and lessons you learned. 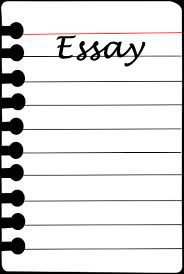 It is helpful if the essay demonstrates your interest and knowledge of TJHSST (e.g. STEM programs), but the content must be honest and not forced. Your essay should be well-organized and provide rich detail showing the reader not just telling them about YOU! I was running down the stairs as fast as my little chubby legs could carry me. The whirring of motors was getting louder. My dad stopped his work and rushed to me. “Let’s go check it out”, my dad said, amused by my innocence. We ended up finding the monster whirring around at the corner of the room. With the press of a button, my dad stopped the horrendous beast and picked it up. “Is this what you were talking about?”, my dad asked. “This is a Roomba. It’s a robot that cleans our house. I can control it with this remote.” During several more minutes of explanation, I had what some might dub as an “aha”-moment. I came to the sense that I could create something like this and make it do anything I want. Noticing my interest in the field of technology, my parents bought me an NXT Robotics Kit when I was eight. It was love at first sight. The possibility of creating and commanding contraptions awed me. As I matured, coding gave me another thrill- confidence. Every time I sat in front of my laptop, I felt like a king at his coronation ceremony, ready to take control. My social skills also improved. If I could command a mechanical machine, why couldn’t I ask a human to play with me? Over the years, I have participated in many activities to satisfy my obsessions including First Lego League and my school’s coding club. Today, I love coding more than ever and want to pursue a career in the emerging field of artificial intelligence. In hindsight, my encounter with a robotic vacuum cleaner ended up changing my life. Terrific example of a narrative essay. This shows in vivid detail your experience and love of robotics and how it began. It is a clever little story that builds to a crescendo (revealing to the reader your source of fear) and it wraps up with a lesson learned and reflection on the events that started you down the path toward a STEM education and perhaps TJHSST. I am not sure I can suggest any improvements. This one should stand as is with one possible exception. I am not sure about the reference to social skills. It seems a little out of place and raises some other questions to the reader that never get answered. I would either exclude it or build on the statement a little further. Great effort! Keep it coming. When I was younger, I was not at all into STEM. In fact, I had a variety of obsessions that had no relation to the sciences. At one point I wanted to be an author, and at another, a lawyer. I was at the top of my class for my reading and writing skills, and I was somewhat above average in mathematics, but I detested it. The sciences were rather boring to me, and instead, I was fascinated with history. In fact, I once wrote a six page essay on Benedict Arnold, just for extra credit. The defining start to my interest in STEM was a mathematics competition in the fourth grade. When I was in second grade, I met a boy names Eric, and he seemed to know everything I didn’t. He was an idol for me, because he knew multiplication and division! He was in my class in fourth grade, and our teacher was quite a quirky one. He installed a timed math app on all of the school’s iPads, and said if anyone could beat his score, he would dye his hair pink. This was the first time I found myself interested in mathematics, and actually pushing myself to be better at it. Eric and I were the closest to beat his score, but after many months of practice, I managed to win. Seeing that teacher dye his hair pink on the last day of school really opened my eyes to the possibilities of mathematics, recreational or not, and inspired me to pursue the other categories of STEM, like science. Today, STEM is everything I live for. I am pursuing astrophysics as a career, and I’m fascinated with everything about space and physics. I idolize physicists like Stephen Hawking and Albert Einstein. I actively take online high-level mathematics and physics courses, and I participate in just about any extracurricular STEM activity I can find. I’m on my school’s MathCounts team, a team that participates in mathematics competitions against schools across the state. I’m also on my school’s robotics team, which is my absolute favorite hobby. I’ve competed in my school and regional science fair, both of which I’ve won first place in the category of physics. Without my thrilling experience in my fourth grade math competition, I don’t know what I would be doing today. Let’s start with a few technical suggestions. There too many commas where they are not needed. “When I was younger I was not into STEM”. No comma needed. “In fact, I had”, is correctly used, but there are perhaps more examples of unnecessary than needed commas. Also, I suggest avoiding passive sentences and uncertain pronouns/references. “My teacher was a quirky one.” Can you use active verbs and he was “one” what? Make sure to show not tell with descriptive detail. A timed app…maybe not so odd…pink hair…yes that’s unusual. Okay, mechanics aside, there is a lot of good genuine stuff in this essay and I think you can do more to bring it out. You use a reasonable approach to the essay, but perhaps you could bring it to life more by focusing on telling a story. One idea is to put the reader in your shoes from the first sentence. “I walked into 4th grade class (use vivid detail) one day and Mr. ABC had pink hair and it was all because of me! It was at that moment I no longer wanted to be an author or a lawyer. It was at that moment math became fun and my new heroes would become Hawking, Einstein etc.” Hook the reader with your personal tale right from the start. Get them wondering how did you make a teacher’s hair pink and what does that have to do with STEM? Your essay reviewer just graded 100 essays. Help your story jump off the page! Show how the event sparked your continued interest in STEM. Watch out for a couple messaging points. STEM is “everything” you live for or your most intense passion? I like the intensity this phrase conveys yet I wonder if you have no other outlets like family or friends. Maybe w/o the “everything” you can convey the passion and skip any reader doubts. The last paragraph is a good summary of activities and it shows how you followed up in STEM activities after the pink hair event. I suggest also thinking about a good story around one of those activities like robotics, your favorite, to convey in an SIS. We will do a lot of that in the Christmas writing class. When kids are young, they start to develop an interest in STEM because of an influential experience. When I was around eight, my mother bought me multiple science kits. At first I was confused, I did not understand how science worked nor did I care. After I read the instructions with my parents, I found out that I was quite interested in doing the experiments. After playing with the kits, I went on to try other things related to science. I started to ask more questions revolving around science in class, and outside of class. My interest grew along with my passion for science. I started to branch out from just science, I started to increase my love for math by doing extra math work outside of class, and asking the teacher questions inside of class. I tried to look for other things that could quench my hunger for the need to learn more about STEM. I started to research more about STEM, I found out that there was more to just math and science. I discovered more about the people who were the main advocates for STEM, and that is when I realized I wanted to pursue my interest in STEM. In this generation, we have been greatly influenced by STEM. Today’s kids are the future, and our future is sure to revolve around STEM. That is why, future generations of kids should develop an interest in STEM. My interest was developed by a simple kit, all it takes is something small to get a kid’s brain interested in STEM. If my mother had not bought me those science kits, I may not have developed my interest in STEM. I like how you turned the experience to your own story, but you might want to go into more depth. What kits exactly? What about playing with the kits interested you? Be specific. The more detail, the more believable and more entrapping the story. Try to help us relate to that passion building up in you for knowledge…for science. The end turns to a lesson learned which is good, but without the personal detail it might sound like you are telling rather than showing. I suggest you think about the messaging of the last line. So it was by luck that you came to like science and math? That may not seem like the deepest connection. If mom bought a soccer ball you would be a stronger athlete than student today? Maybe indicate you would have come around to science in either case, but the kit got you started young and you want to continue the next step at TJ. I yelled out loud as a giant Mickey Mouse animation tumbled right out of a huge movie screen and broke a hole in the back of the theater. To my 6 year old self in the middle of Disney World, it couldn’t have been anything other than magic. While everyone laughed and clapped at the amusing spectacle, I was deep in thought about how that was possible, being a curious child myself. Once we had gotten out I bombarded my parents with questions, and I learned that the “magic” was something called computer animation. It dawned on me that many of the things I had enjoyed playing with and used had a science behind them too. From that day forward I worked to expand my knowledge of science, technology, engineering, and mathematics. If STEM can help people everywhere, and inspire others to make the world a better place to live, then it really is magic. Over the years I spent my free time building Lego robots, programming web pages and making mini science experiment shows for my family. I felt happiest when I was doing these activities, although I wished I could incorporate it into my time at school. During the summers I was thrilled to learn that I could take courses to teach me more about STEM. There I made many friends who had the same interests as me and who I connected with easily. Most of all, my love of science has grown and I wish to one day have a career in biotechnology, or neuroscience, to see how we can use technology to help people with disabilities, and enhance our medical procedures. Moreover, when I saw Mickey Mouse fly across that theater, my passion for STEM was sparked. I like the imagery of the Mickey Mouse and magic and how you tie it into technology. That which we do not yet understand we often consider magic in the absence of explanation. This is a really good example of showing your curiosity. You slip a little into telling rather than showing when you indicate you steered toward science from that day forward, but you do give a lot of good examples. I might try to build them up a little more in some order. Example 1 had this impact and then example 2 did that…lead to a climax of sorts which is a key part of every captivating story. I would absolutely keep the part about connecting easily with the people you met. That is a powerful line that tells me something personal about you…maybe you are a geek…and I say that with complete positivity…I get the sense that it fits like an old comfortable shoe. Very good start to your conclusion. You look to the future and tie it back to your goals in technology. I think your last line could send the final lesson learned home to the reader with a more powerful punch. Maybe Mickey showed you magic can become reality through the wonders of science and technology and you hope to bring that lesson with you to TJHSST? Overall, really good stuff. PS If you want more practice you may want to join the essay class. Follow the link from the home page. Its pretty cheap and you may enjoy it. “I am reading one of your medical magazines,” I told my father, a doctor. I have had a curiosity for science and medicine for a very long time. Ever since I was younger, in my leisure time, I would pick up one of my father’s medical magazines and try to learn something new, weather it is an advertisement for a type of pill, or about how researchers are starting to make a vaccine for some sort of deadly disease. Much of my interest also came from my parents. These small moments reading medical magazines and talking to my parents about their job being a doctor made a spark that got me curious and interested in STEM. Currently, I am in many STEM programs in my school. I was part of the AMC8 math challenge, and I got third place. I am also participating in my school’s chemistry club. Last year and the year before, I took a test and gained admission to a chemistry competition. There are other activities that I participate in that are similar to STEM like my chess club. This is only a sample of the multiple clubs and STEM activities that I am in, in my school. To conclude, much of my curiosity for STEM would not happen if it were not for those small moments when I read medical magazines in the past and talked to my parents about their job. You changed tense in the first two sentences. Make sure to keep your tense consistent unless you need to change it on purpose. It should be “whether” not “weather”. The question asks for “an experience” which should be your first choice of reply in general for SISs even if the question is not always this explicit. Your 2nd paragraph is a list of clubs and activities which is not what the question asks. It is a resume… specifically not what TJ wants to see. Instead pick one of those events and show through your story why you are passionate about that STEM activity or interest. If you want to use the medical journals then dig more deeply into the experience that shaped you; more than telling the reader you read medical journals. Be specific and describe your experience in detail. Share something about yourself that makes you…well…you…unique. I am having trouble writing my SIS. How should I format it? Should I just do one big paragraph like this one or multiple smaller ones? I was about 10 on that hot summer evening, with nothing to do except hear the mosquitos’ buzzing drifting in from our slightly ajar balcony doors. I turned on the TV, and when nothing good was on what I normally watched, I began to flip through random channels, in hopes of perhaps striking gold and finding something worthwhile. I found exactly that when I stumbled onto a documentary about how the shape of a blood splatter can help in finding convicts. I remember there was a certain word in there that got me hooked the second I heard it, whether it be from the mystery of what it could mean or just how fancy it sounded; “Forensics”. Flipping on my computer, I typed in the word fast as my small fingers could, looking up everything and anything on the subject. I ended up on more documentaries, websites, and books on how criminals were tracked. It fascinated me how even the smallest detail, possibly overlooked by everyone else, can help be the missing puzzle piece in the biggest crimes. The next day was the same. Shows and channels that I didn’t even know existed just days before were the keys that all helped me open my eyes into the world of STEM. I went to the library, something that I almost never did before, so I could look up other ways forensic scientists in labs found killers, everything from shoe prints to handwriting to even bugs. With my dad, who loves anything and everything tech or science-related by my side, my passion for STEM grew, even into the other components. I was given a circuit set, and Legos, and books on animals, among other things that made me come to one realization; The world is so much more than it might seem. With my dad, who loves anything and everything tech or science-related by my side, my passion for STEM grew, even into the other components. I was given a circuit set, and Legos, and books on animals, among other things that made me come to one realization; The world is so much more than one might think. That is a great essay. There are a couple minor technical issues like “nothing good on that (not what) you normally watch”. Make sure to check your work, but those details aside you include the essence of what an SIS reply should have. You relate a personal experience in vivid detail. It is not a listing of your resume or an experience from some competition which is a typical response. It is a simple, genuine moment that awakened your interest. You then tied it into your growth in other areas and ended with a wonderful, optimistic lesson learned. Good job! Math and science had always been my favorite subjects. When math or science would roll around each day in elementary school, suddenly I would feel like all I really wanted to do was learn more. But if I had to put my finger on one event that really opened my eyes to my love of STEM, I would have to take my story back to the 4th grade. In 4th grade, I had a teacher with whom I shared I bond with; mostly just because we both love Harry Potter. The assignment was to build a house for ladybugs. Seems simple enough right? For me, it wasn’t something I took lightly. For the next week I basically ignored all my surroundings obsessing over this project that just had to be perfect. My house wasn’t complete without the swimming pool, the 7 bedrooms or the patio that took me ages to finish. The next weekend, my mom got an email from my teacher saying that he would like to take me to the university of Minnesota to present teachers about this project. That day was the day. I stepped up to the stage to talk about how I did this project, butterflies in my stomach and head spinning. The moment I started talking about the project, I felt like I could never stop talking about it. It was like something had clicked in my mind and suddenly I knew what path I wanted to go on for the rest of my life. After that, I got to go around the building and watch more presentations. It felt like everything was coming into place. That day is one of the only days I vividly remember from my childhood and I’m sure I will never forget it as it shaped me into who I am today and provided me with one of my best traits- my love for STEM. In the summer of fourth grade, I attended a camp called GEMS (Gains in the Education of Mathematics and Science). I was seeking a better knowledge of science, and what I wanted to do with my life. On the first day, we were introduced to the human heart. I instantly became eager to know more about the heart, because the heart is one of the main functions that keep us alive. During the lesson, I learned that there were three different type of arteries: elastic, muscular, and arteriole. Arteries are systems of veins that help blood flow to the heart so that the heart can produce more blood. As we got deeper into the lesson, we got to learn about a type of heart surgery, called balloon angioplasty. This surgery is done when the patient has suffered a heart attack, which is caused when arteries are blocked by fat. In the surgery, a needle is inserted into the artery, and a balloon is inflated so that the width of the artery is expanded, allowing blood to flow smoothly. It was at that moment where I knew which field of science I wanted to study – cardiology! It is amazing how just one day of summer camp can influence my whole thinking about science! This event taught me that science is a never-ending learning experience, as there is always something more to learn about science. Ever since then, I have started to develop an interest in engaging in STEM competitions. For example, I chose Science Olympiad events such as Anatomy (The study of the human body), where I placed third in the event due to my enthusiasm and eagerness to learn. If it were not for one day of camp, my interest in STEM would have never been the same. That is a great story! I love hearing about experiences like this regardless of how well it is written, which brings up a good point. Genuine enthusiasm shines through and may be the most important element of any essay. Keep up the effort. Next time, try to expand on your experience and the essay a little further. Your writing style is good, but watch out for passive sentences. e.g., “we got to learn about a type of heart surgery” and “This surgery is done when the patient has suffered a heart attack.” Try to use active verbs and “do” the action rather than having it done to you in the sentence. “I learned about a type of heart surgery.” More concise. Active voice. Good luck!